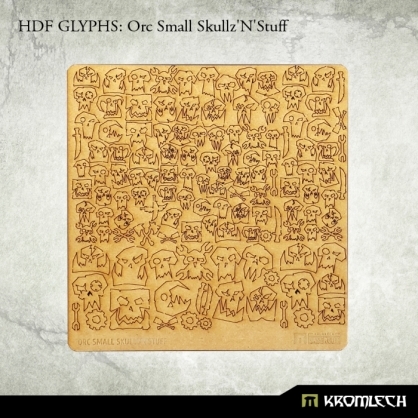 This set contains one 1,5mm thick HDF plate full of Orc Small Skullz'N'Stuff that you can use for your modelling projects. 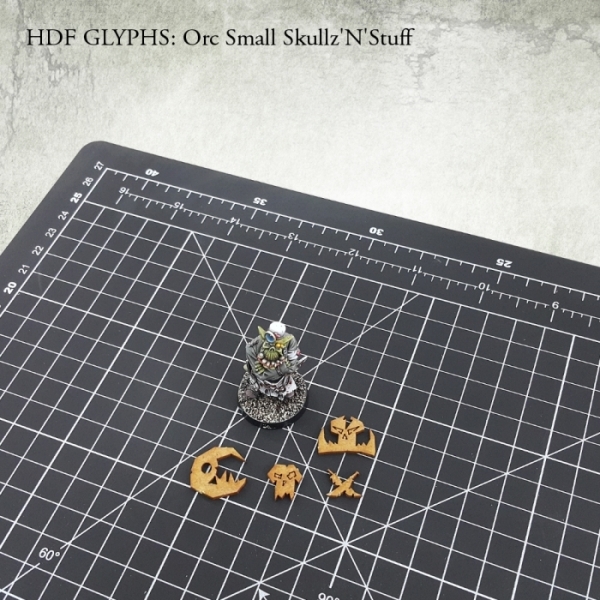 Each glyph needs to be push out from the plate. 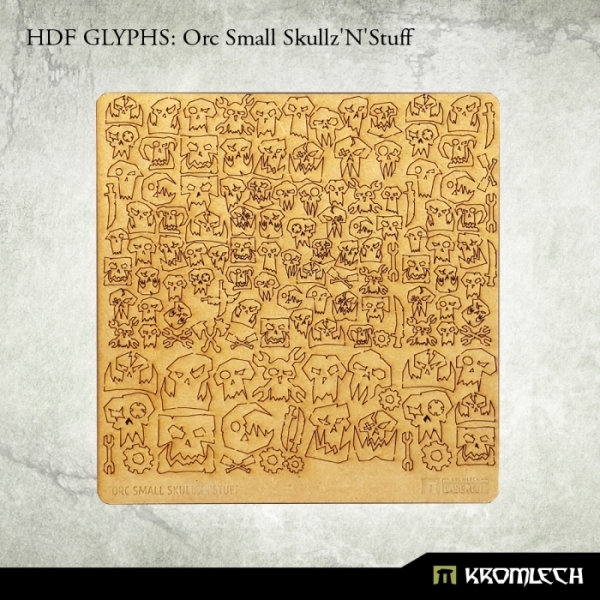 Glyphs are approximately 4mm to 20mm wide. Plate is 14cm x 14,5cm.